I got myself a great idea last night, crochet a rug from plarn. Plarn is a yarn made out of plastic bags. This is so exciting, now we are going to collect a lot of plastic bags and get to work. There are some amazing references on the internet. It´s just amazing what you can do out of recycled materials. You can pretty much use everything – cans, books, milk, egg cartons, bottle caps, cereal, cookie, pasta boxes etc. AMAZING! I have done a lot of crafts with kids out of recycled materials plus we have a few pencil holders at home made out of cans. But the thought of making a rug is just so cool! Have you made something cool out of recycled materials? Share it with me….I would like to see! I had a bag of frozen cherries and blueberries in the freezer, also some fresh cranberries. I only had a basic bread recipe in my hands. 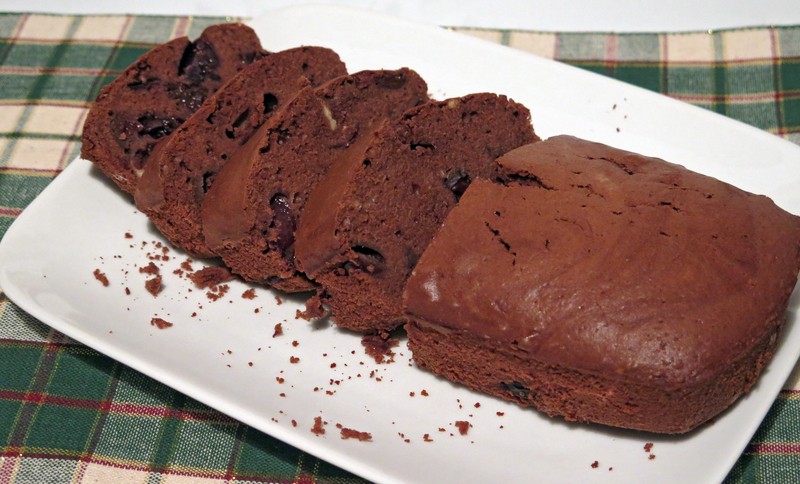 At first I wanted to add all of these in the bread-cake, but then decided that cherries go good with chocolate and decided to add cocoa and cherries only. 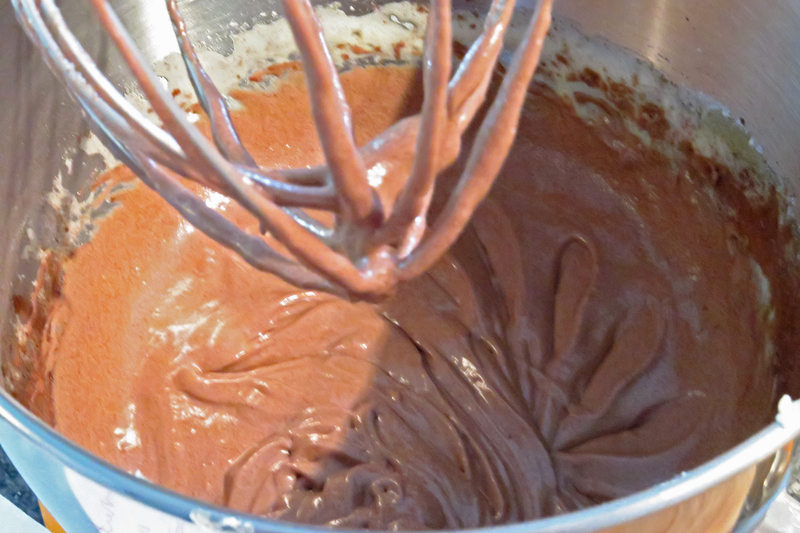 Next time I will add some chocolate chips to it, you can actually add them right now, if you are a chocolate lover! Beat eggs with sugar till fluffy, add flour, melted butter, salt and cocoa. Mix. Cut cherries in half. Finally add the cherries by hand, otherwise they will break. 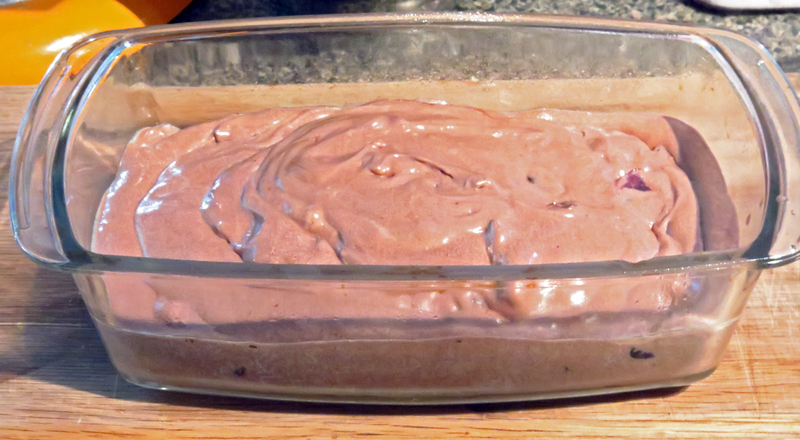 Put the batter in the loaf pan and cook it 350 F for an hour or until the inserted toothpick will come out clean. 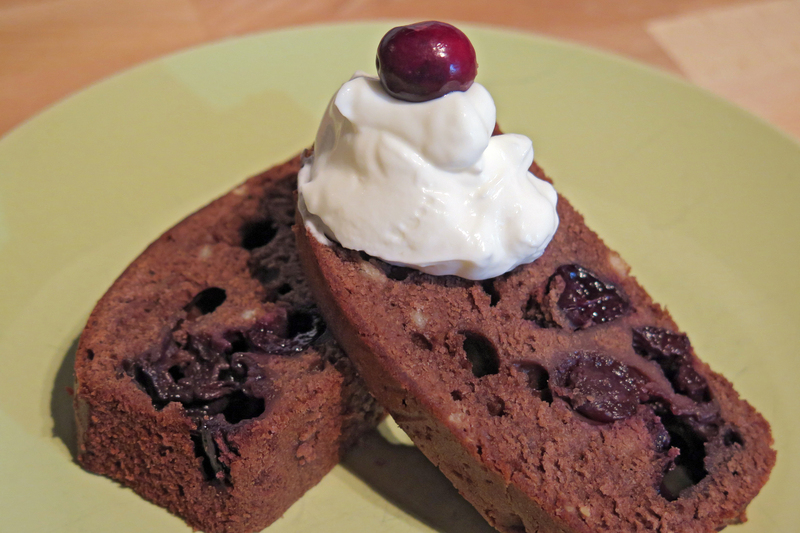 This cherry chocolate bread was very delicious! I ate it very fast. It was awesome with plain yoghurt but you can eat it with ice-cream or caramel sauce or whatever you love! I tried baking muffins with this recipe but the muffins did not turn out as good.